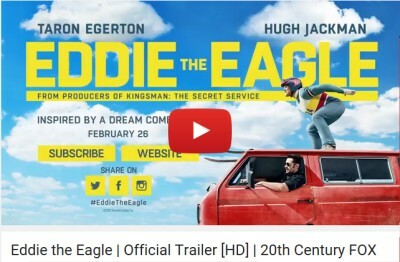 Hollywood has Reached out to Help Promote the Upcoming Movie - Eddie the Eagle! Why has Hollywood reached out to the knitting and crochet communities? Because they know we are one of the most passionate, loving, and energized groups in the world! 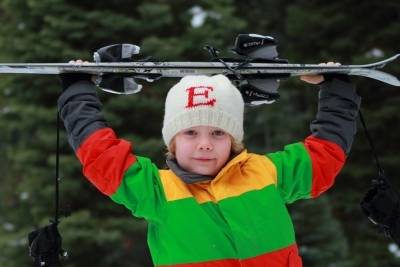 Eddie came from a family that showed their love and support for his dreams through knitting. Knitting Competition with Hugh Jackman and Taron Egerton! Using their innate coaching abilities, Eddie the Eagle stars Hugh Jackman and Taron Egerton cheer on their stitching athletes in a 30 second knitting competition! Armed with yarn, needles, the encouragement of Hugh and Taron, and their gnarly knitting skills, these knitters don't bend to the pressure...but who be the ultimate victor of this Knitting competition? Watch and find out! Interested in making an Eddie hat? We have put together some helpful tips to get you going! Click to check out our blog entry describing some tips to help you start knitting for Eddie! Check out the trailer for the movie, which will be released on February 26! Inspired by true events, Eddie the Eagle is a feel-good story about Michael "Eddie" Edwards (Taron Edgerton), and unlikely but courageous British ski-jumper who never stopped believing in himself - even as an entire nation was counting him out. With the help of a rebellious and charismatic coach (played by Hugh Jackman), Eddie takes on the establishment and wins the hearts of sports fans around the world by making an improbable and historic showing at the 1988 Calgary Winter Olympics. Interested in Submitting Your Own Eddie Hat Creation? The site www.iKnitForEddie.com has been set up so you can submit photos of your very own Eddie Hats! Your creation can win an exclusive Eddie prize, and be included in a special promotion of the film! 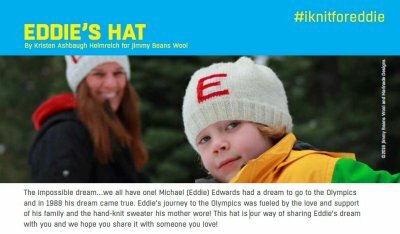 Show your support by knitting or crocheting into your own Eddie Dream Hat... we've got patterns for both! 100-200yds of worsted weight yarn (100g/209yds, 100% Superwash Wool The hats in the photo were knit using: Red Heart With Love - Aran or Eggshell & Berry (Jimmy's) or Rowan Pure Wool Worsted - #101 Ivory or #102 Soft Cream & 136 Cardinal (Huck's). You only need a bit of the contrast yarn - so if you don't have any red bits in your stash, you can get one of our Pure Wool Worsted samples here to make your E.
The impossible dream... we've all had one at some point, right? Eddie the Eagle had an impossible dream to someday go to the Olympics, and in 1988 his dream came true: in the Calgary Winter Olympics, Eddie competed as Great Britain's (only) ski jumper. We've partnered with the makers of his bio-pic because, well... wouldn't you know it? 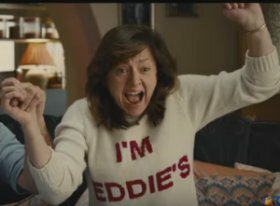 Eddie's journey to the Olympics was fueled not only by his relentless determination, but by the love, support and pride hand-knitted into a sweater worn by his mother! Here are the full details about our current ideas about how to work with the entire knitting and crochet community to help make some NOISE about ourselves and the movie! What it is: A collaboration between a major Hollywood movie, its stars, and the passionate, vocal, Hugh Jackman-loving, movie-loving community of millions of knitters and crocheters!